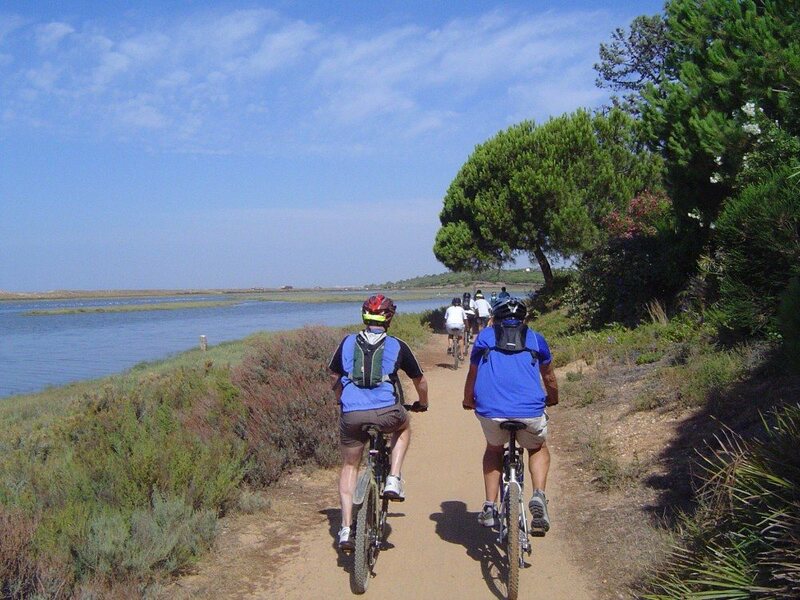 Use the form below to contact tour Quinta do Lago – Praia de Faro directly. 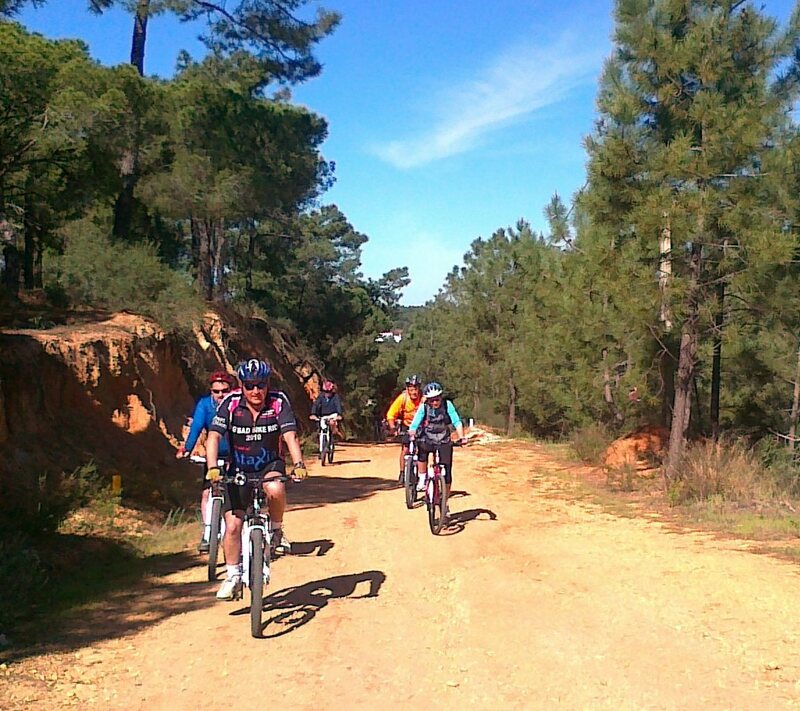 The ideal way to see the hidden beauty of the Algarve is by bike and this is one of our most popular tours. From the luxury and glamour that is Quinta do Lago to the salt flats and the local charm of the Praia de Faro. This is a fantastic healthy way to spend a morning. 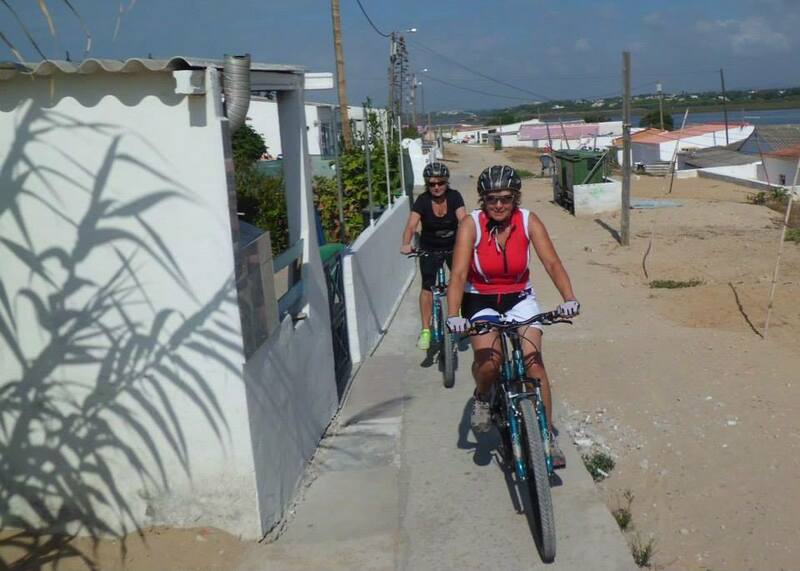 We will cycle at a pace to suit you, mainly along quiet roads and dirt tracks, and we have bikes and helmets available. All you need to do is turn up and pedal. 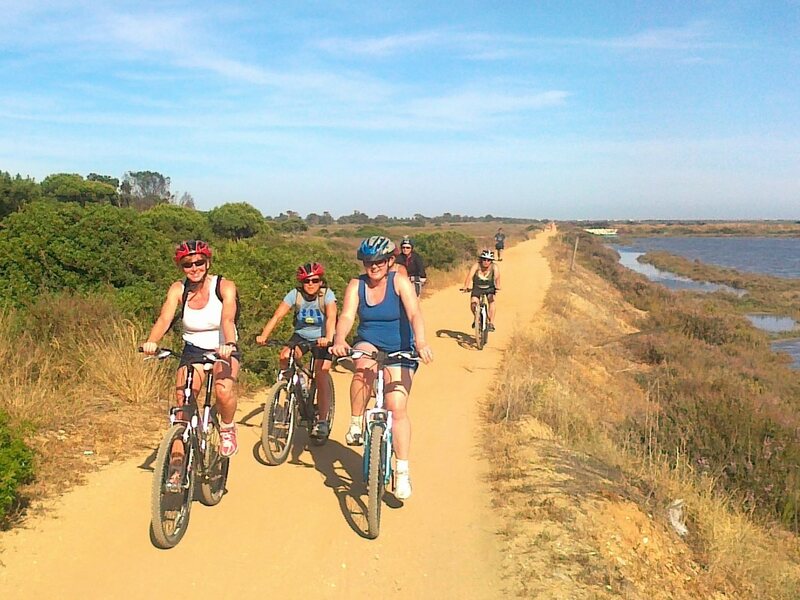 You and your bikes will be transported to the exclusive residential estate of Quinta do Lago, from where we set off for a morning of gentle cycling. 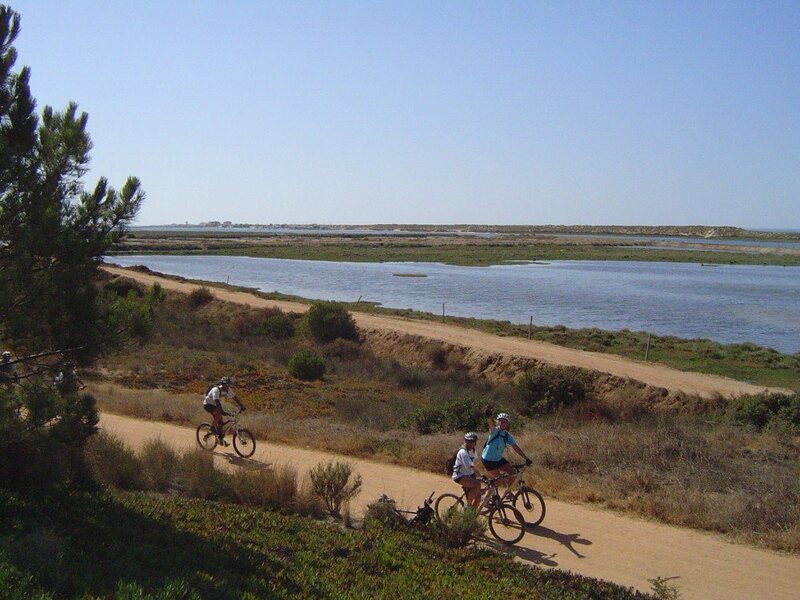 Skirting the edge of the award-winning golf course, with views across the lagoon to the dunes and Atlantic ocean beyond, it is not long before we enter the famous Ria Formosa National Park. This is a UNESCO heritage site situated on low lying coastline amidst a maze of lagoons, channels, salt marshes and islands. It is home to an abundant array of wildlife and over 30,000 birds stop off here on their journey from Europe to East Africa. You can often spot kingfishers, hoopoes, bee-eaters, egrets, blue magpies and many other species. Cycling through pine woodland, surrounded by freshwater lakes and salt marshes, we come across some fish salting tanks, which date back to Roman times. Then we continue along the salt marshes, admiring the vegetation and hopefully spotting the odd turtle basking in the sun, before reaching the salt pans which are a thriving local industry. Continuing our journey, we find ourselves at the back of Faro Airport which, surprisingly, opens up to more beautiful scenery, and is home to the University Marine Project. 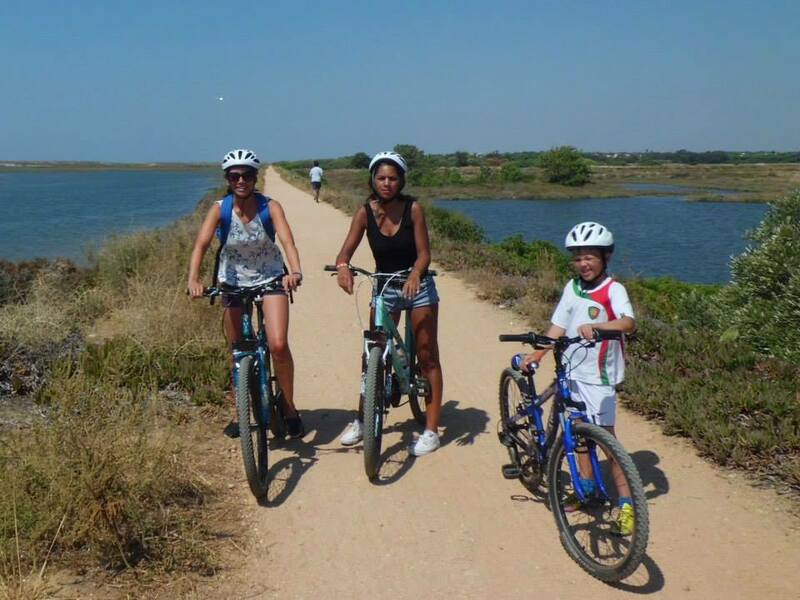 You will enjoy a spectacular view of the hills that provide a backdrop to the Algarve and, if you’re lucky, you will be treated to the sight of flamingos as they land on the freshwater lakes just next to the cycling track. So keep your cameras handy! From here we cross over to the Praia de Faro (Faro Beach). This is a large strip of land which is joined by a single lane bridge and is host to a plethora of authentic Portuguese cafes and fish restaurants. On the far side is a long sweep of beautiful sand, whilst on the nearside is a more sheltered lagoon. This is where the locals from Faro come to sunbathe and is bustling throughout the summer months. It is also home to many traditional fishermen’s cottages which are accessed by a boardwalk. 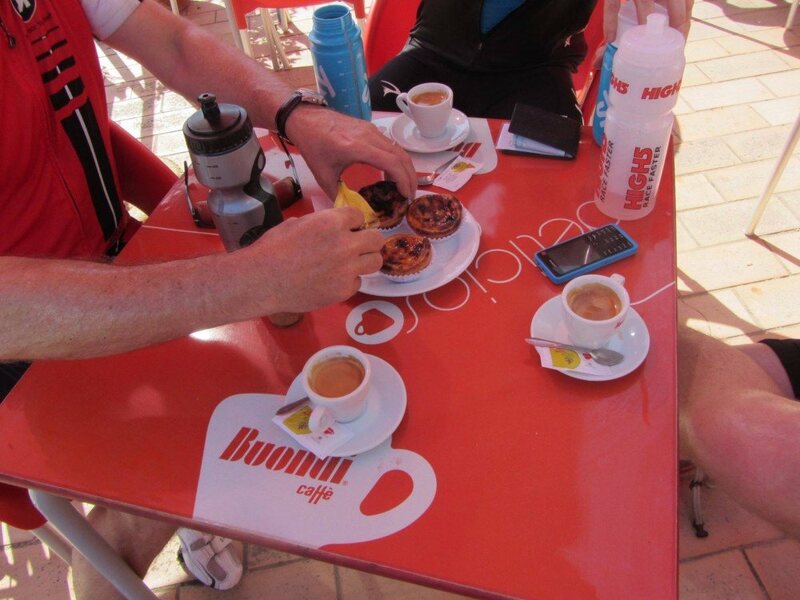 We stop for a coffee here and you can treat yourself to a homemade Pastel de Nata (local cake) or a glass of freshly squeezed orange juice from locally grown fruit. 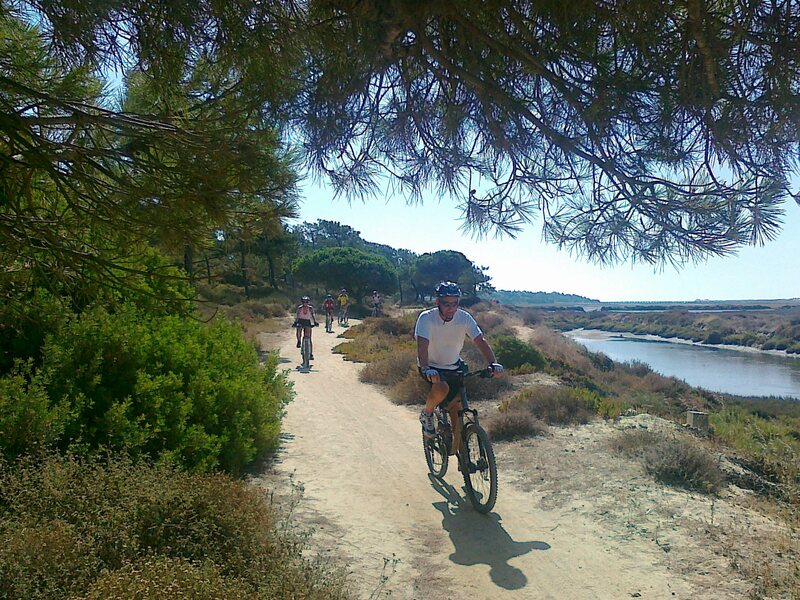 Suitably refreshed, we head back along the dyke towards Quinta do Lago. This is a popular walking and jogging route and provides another chance to enjoy the inland and coastal views and spot more wildlife and dune vegetation. We take a slight detour through the immaculate, landscaped residential estate – where the rich and famous holiday – before arriving back at the lake and transportation back to your hotel and a well-earned rest or dip in the pool. This tour is appropriate for novice/intermediate riders. It is also ideal for families as it is mostly on traffic-calmed roads and dirt tracks. It lasts for approximately 3 to 4 hours. Water and sun cream, which we recommend that you do bring along.